Copyright November 2017- The Catholic Legal Immigration Network, Inc.
On November 23, 2017, a decision is expected to be made regarding extending TPS for nearly 60,000 Haitians for an additional 18 months. These Haitian nationals have been granted the opportunity to live and work in the U.S. as Haiti continues to recover from a number of natural disasters since the 2010 earthquake and a cholera epidemic brought by UN Peacekeepers. Currently, Haiti is suffering from a food crisis, accessibility to clean water, and a loss in housing and infrastructure. 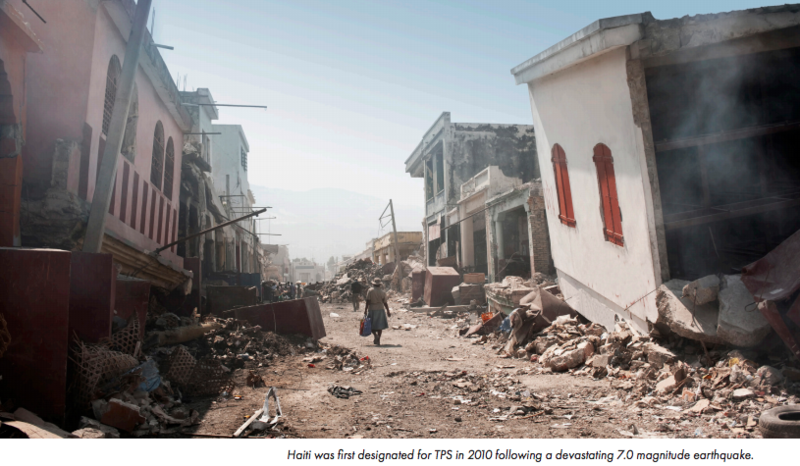 To have thousands of Haitians return back to Haiti while the country is recovering and rebuilding can cause more harm than good. An end to TPS will create “a life-threatening humanitarian crisis” and will rip families apart.